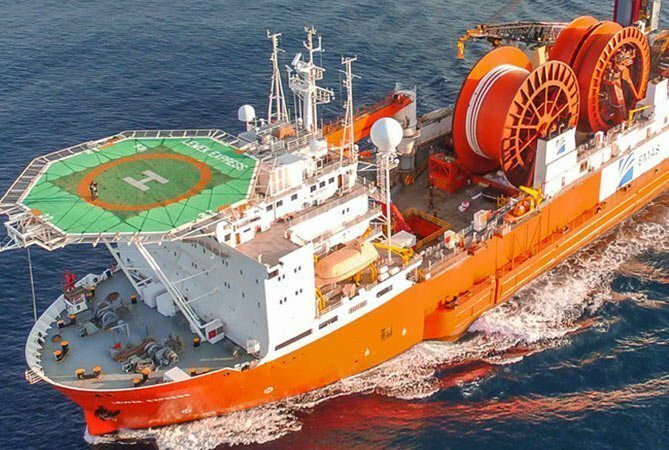 Bibby Offshore has advanced in its Texas court case against Emas Chiyoda Subsea, with the judge granting the company permission to arrest subsea vessel Lewek Express . Bibby filed a case last month in the Texas Southern District Court demanding arbitration over $14.7m owed from an $18.1m contract performed in Trinidad in 2016. While Bibby sought to arrest the Lewek Express, Emas Chiyoda Subsea argued that the vessel was not owned by the company and requested its release. The judge ruled however that the vessel’s registered owner, Ocean Lion Shipping Ltd, is a Hong Kong holding company owned entirely, or substantially, by Ezra Holdings. Ezra Holdings owns a 40% stake in the subsea joint venture, while Japan’s Chiyoda Corporation and NYK are the other stakeholders. Yesterday, Splash reported that NYK is considering offloading its 25% stake with Norway’s Kristian Siem via Subsea 7 rumoured to be an interested buyer. Bibby also sought to arrest another vessel, the AMC Ambassador, however the court ruled against the arrest.